I started painting about 4 months ago to help save my sanity while I await shoulder surgery. 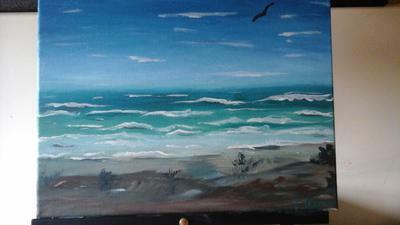 I have always been drawn to water and this is my second painting of a beach. Today I painted this while thinking of my daughter who is at the beach today, releasing balloons in memory of her infant son. This is my tribute to her strength and to Matthew's memory.